The Lake House 10% off all Remaining Available Dates!! All remaining available dates at the Lakehouse in Onekama are now 10% off! 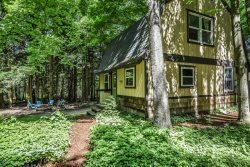 Don't miss out on the chance to stay at this amazing Portage Lake home for 2019! Reserve one of the remaining full weeks in August and receive a $100 gift card to Crystal Lake Adventure Sports!